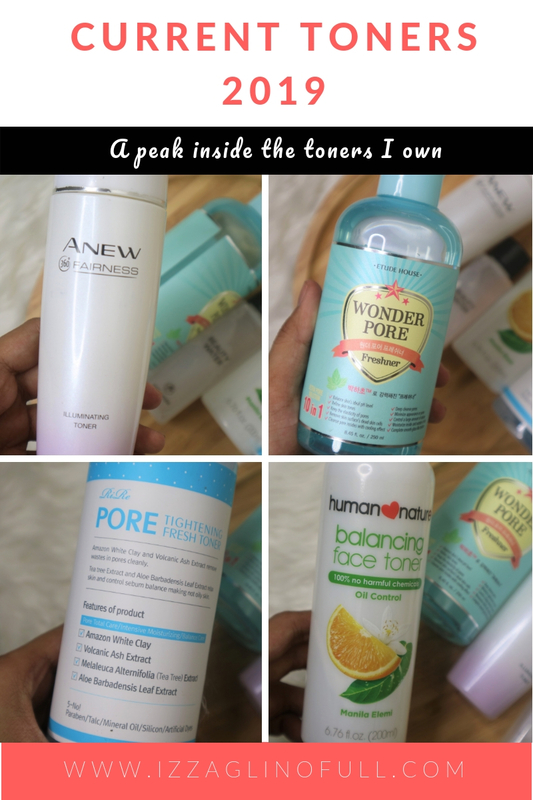 It’s time to share the current toners I have in my vanity. 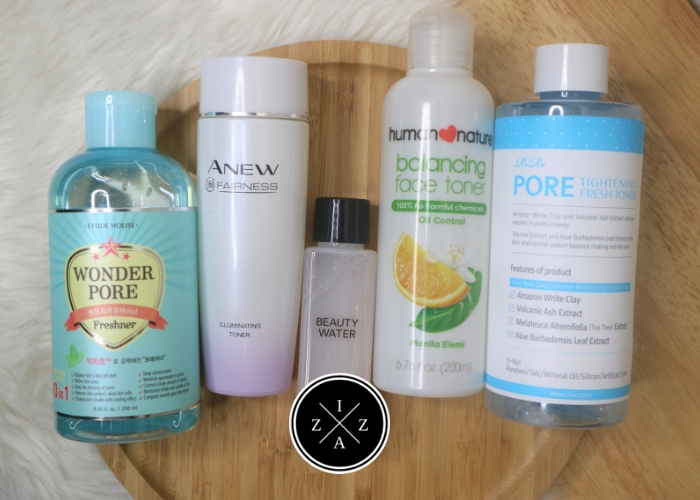 Last week, I posted about the current cleansers I own and today I am continuing the series with my current toners. Toners usually comes after cleansing. It is a vital part of a perfect skincare routine because it sets the tone of your skin, preparing it to better absorb the rest of the products you will be putting. Just like in the last post of this series I will be sharing some insights about toners I learnt through the years. Toner is there for a purpose. At first I see toners as merely optional” part of an skincare routine. Like I can skip it whenever I want. Then I read on a big list of what toning does and why it needs to be part of anyone’s skincare routine. Lastly, it prepares the skin for the rest of the routine. So yeah, toners are really important. Try not to skip it. Alcohol-based toners are not always bad. You may have read somewhere that you should stay away from alcohol-based toners for they will just dry out your skin. The truth is alcohol-based toners are not always that bad. It really depends on the skin type you have. Those with oily and acne-prone skin will find toners with alcohol in its ingredient list as helpful in controlling sweat and drying out pimples. Simply put, if you have oily skin, alcohol-based toners have its benefits. But if what’s causing your acne is lack of moisture, you need to stay away from alcohol-based toners. The common question is this - what’s the difference between toners and essences? Aren’t they the same? Well, I found out they actually differ with each other a lot. 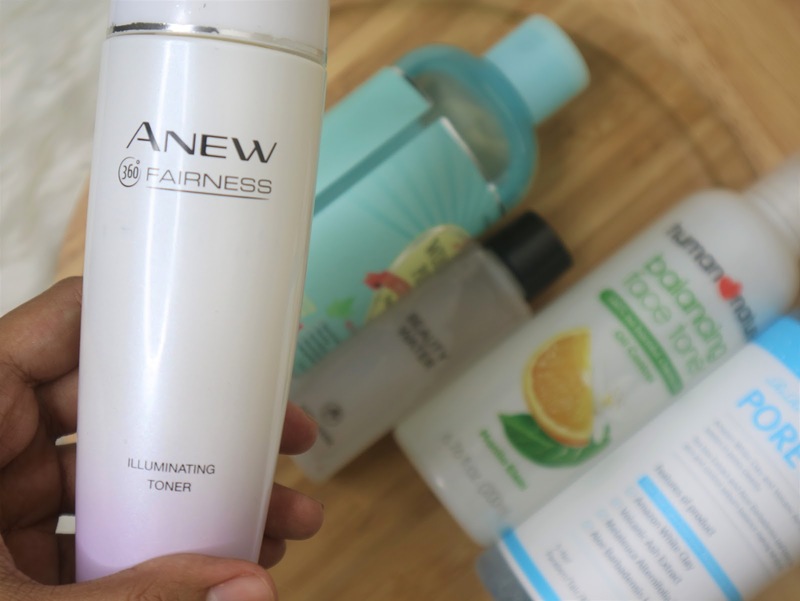 Toner is considered the last step on the beginning phase of the skincare routine. Once you double cleanse and tone, your face is now ready for the middle phase which involves deep treatment. Essences are way thicker than toners. Most have specific use. For example, COSRX Advanced Snail 96 Mucin Power Essence has snail mucin which helps moisturize dry skin patches and heals acne. The Bio Essence Intensive Conditioning Essence from IOPE is more of preventing the signs of aging. You can treat toners as part of the must-have triad of skincare routine - cleanse, tone and moisturize. Essence is an added step you can do to treat specific problems you have on the skin. Before I move on to the current toners I own I will just quickly share to you some of the toners I’ve used in the past that I did loved. Most of them you can easily find in beauty stores nationwide. Belo Whitening Toner in Pink. I used this toner way back 2014 and it did wonders in lightening my acne marks. This has a tendency to be overly drying though since it is alcohol-based so make sure you use a lot of moisturizer. Dickinson's Witch Hazel Toner. I used this toner so much back in 2016 and featured it so many posts. If you are looking for a budget-friendly toner that resembles Olay Pore Perfecting Toner then this one is for you. It is a pore perfecting toner that refreshes the skin and refines pores plus removes excess oil and dirt without drying the skin. I tried two travel size bottle before I settled with the full size which will last me for a long time!!! Highly recommend! You have two budget-friendly options: 89pesos for travel size and 349pesos for full size (237ml). 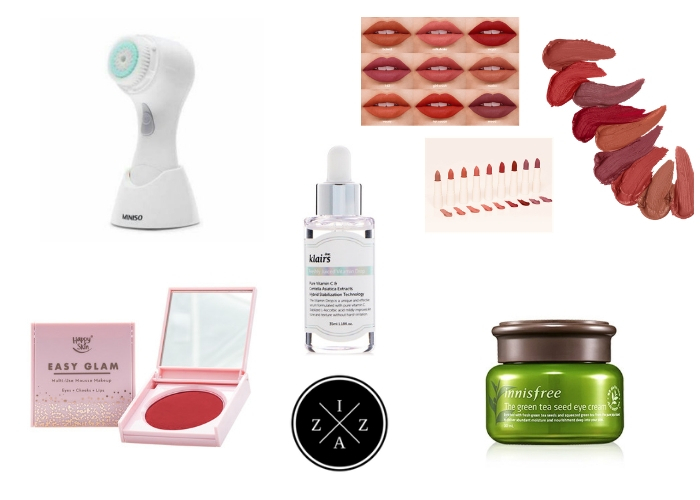 Related reads: Best of 2016 Skincare | My Complete Day and Night Skincare Routine and Current Product Empties. Now we’re ready to roll with the current toners I have in my vanity. 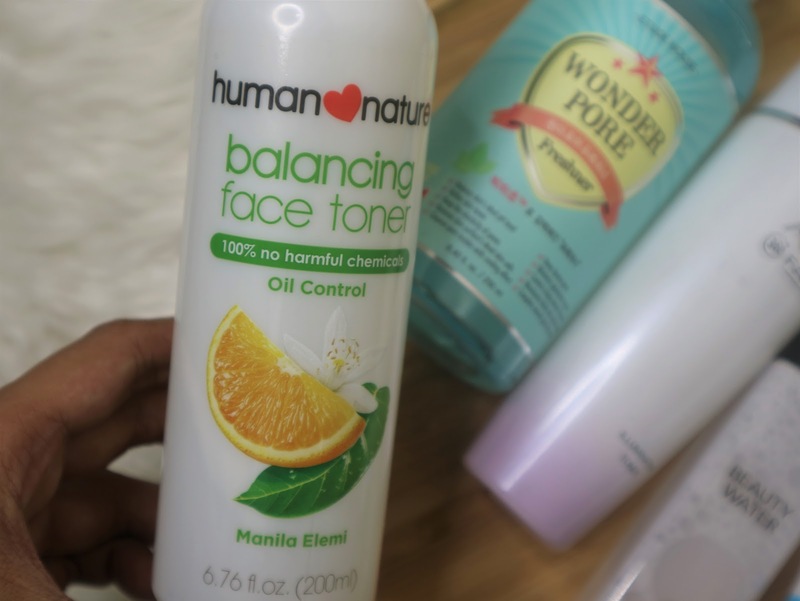 When I first bought the Human Heart Nature Balancing Toner I didn’t expect it become a staple in my skincare routine. I bought it primarily because natural toners work wonder for me (Hello Dickinson’s Witch Hazel Toner) and it is very affordable. After using it for almost daily last year I can pretty much happy with the result. It certainly helped control the oil on my face. I used to be very oily, like even short walks make me sweat but now I don’t even use blotting paper anymore. For its oil control I am pretty happy I discovered this product. If you have oily to combination skin and you are looking for an affordable toner that helps balance it out I highly recommend this toner. It is mild and light on the skin and smells nice too. Price point is very affordable. 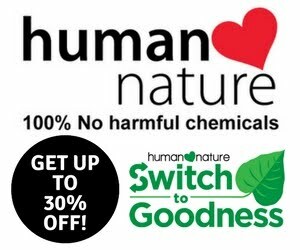 Try the 100ml first then if you enjoy the product, go for the 200ml next. I super love this toner since discovering it in 2017. I used to apply this using cotton but now I just use my bare hand and pat the product gently on my face. There is cooling effect whenever I use it and I do feel refreshed and awesome right after. My skin is not dry at all and it didn’t give me any purging effect. It is neither a cleanser, a toner nor an astringent. After every use I feel like my face is squeaky clean, feels refreshed, hydrated and tightened. This in the picture is my third bottle already and I am still loving it. Now it works mostly as an essence already for me because I am using another toner before this. I got this as part of the birthday credit Althea Korea provided last November. If you don’t know I am part of the Althea Angels which is the Beauty Ambassadorship Program of Althea Korea. Anyways, I bought this Rire Pore Tightening Fresh Toner because it retails for only Php 360 and it’s already 300ml in size. It controls excess sebum/ oil production, minimizes enlarged pores and leaves the skin feeling soft and fresh. The product is infused of Amazon White Clay and Volcanic Ash Extract which removes wastes in the pores. It also has Tea Tree Extract and Aloe Barbadensis Leaf Extract which relaxes the skin and control the sebum balance helpful for oily skin like me. The Etude House Wonder Pore Toner is a 7-in-1 total pore solution freshener for intensive pore care. The 7-in-1 solution includes deep cleansing, sebum control, pH4.5 care, tightening pores, for clear skin, giving elasticity, moisturizing. 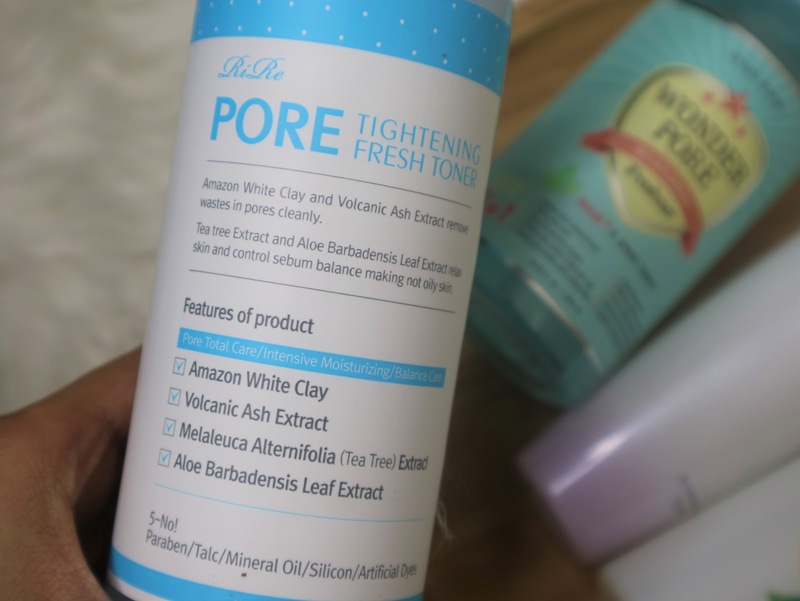 My main skin problem has always been my pores and casual big pimples and I wanted to invest in a product that is made specifically for pore management. I have been using this toner so far I have notice a big difference in the black heads especially on my nose area but it does take some time so you need to be patient. This is a new addition in my current toners collection. 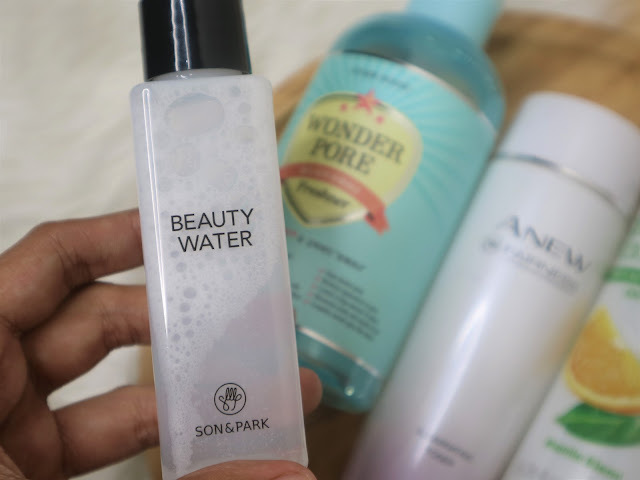 I recently saw the Beauty Water Set which comes with both 360ml and free 60ml of Son and Park Beauty Water in one box for only Php 1160. This Beauty Water is said to work miracles on the skin. It tones, cleanses, exfoliates and hydrates the skin. I have yet to use this toner but when I do I will surely create a separate blog post feature/review about it. Currently, I stopped using the Human Heart Nature Toner to try out the Etude House Wonder Pore. I use it both day and night using cotton pad. After toning, I use the Avon Anew 360° Illuminating Toner as my essence since it helps lighten my dark spots and unwanted acne marks. 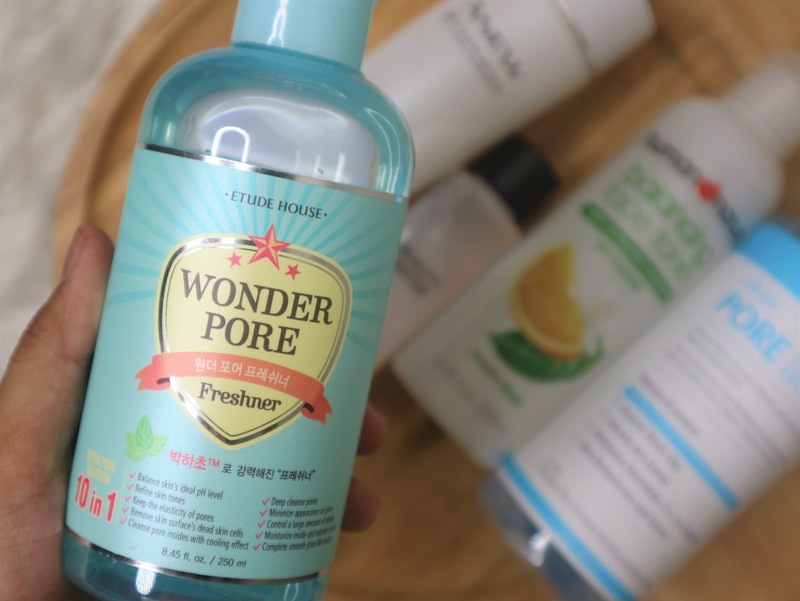 Once I have a good grip of my thoughts and opinion on the Etude House Wonder Pore I will be switching to the RiRe Pore Tightening Fresh Toner to compare the two and review. I hope you find this post helpful. As I’ve mentioned in my first post in this series, I am taking skincare routine very seriously this 2019. I wanted to achieve “my best skin” yet this year and keep a record of what products did help me accomplish the said goal. 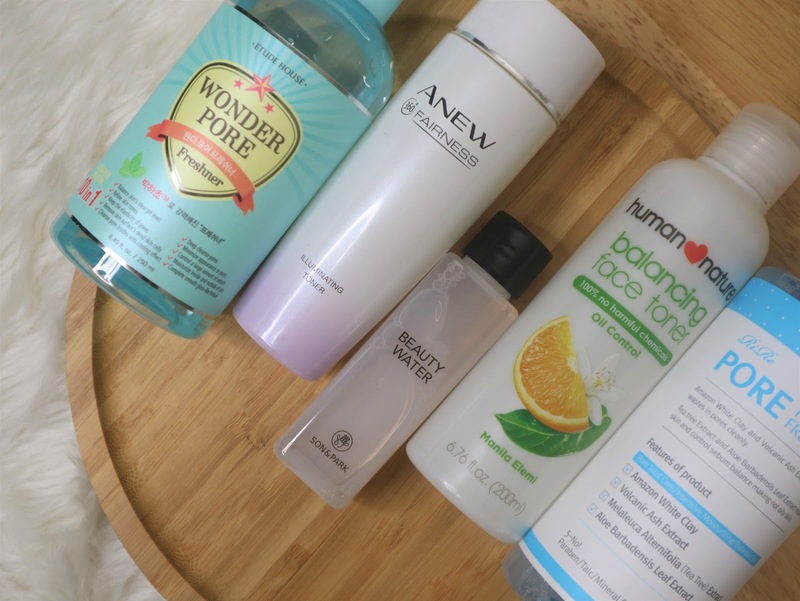 What toner are your currently using?